2XL was the coolest toy robot ever made. 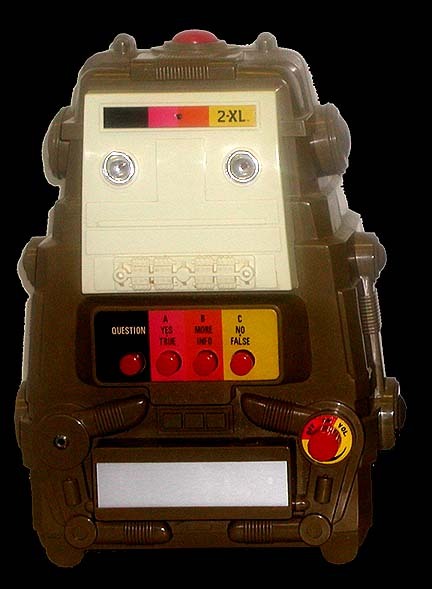 The original 2XL was made by Mego in the 1970s. The second 2XL was made by Tiger in the 1990s. The latest version of 2XL is called Kasey the Kinderbot and is made by Fisher Price. Push the Question button above to enter the World of 2XL and learn more about all three!